Dead zones, overlapping signals, dropped devices. Your technology is only as good as the wireless network and setup it runs on. When wireless networks fail, operations suffer and so does your bottom line. But what if you had a partner who could take the pain and complexity out of wireless network design and troubleshooting? Hi-Link’s comprehensive approach to the design, implementation and optimization of your wireless network gives you an edge above your competition. We get the optimum network performance, even in the most complicated network environments. Hi-Link’s network expertise allows for simplifying support, eliminating downtime, and increasing productivity. From on-site diagnostic surveys to network tuning and monitoring, Hi-Link engineers create a custom plan to optimize your mobile network performance. These are just a few of the issues that can cause wireless network issues. Unfortunately, throwing another access point in the environment is usually not the best solution. Hi-Link offers the following services to meet your direct wireless needs. Evaluate and understand the scope of the network to be implemented. 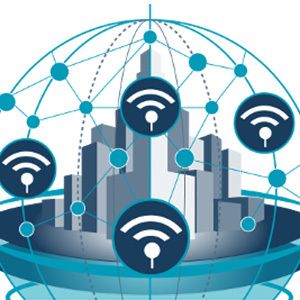 We plan and design a wireless networks to provide a wireless solution that will deliver the required coverage, data rates, network capacity, roaming capability and quality of service. We also perform walk testing, auditing, heat maps, analysis and/or diagnosis of an existing wireless network. A verification and optimization service that validates a network’s design and ensures that it meets the requirements discovered in the network’s detailed plan. Hi-Link is wireless experts with Cisco, Meraki, Ruckus, Aruba and many other wireless manufacturers on the market. We have clients throughout the Stamford, CT and New York Metro area from all verticals that have used Hi-Link’s wireless network optimization services. Meraki is an innovative WLAN solution which is extremely scalable and survivable. Meraki leads the market in ease of installation and manageability. Meraki works extremely well in distributed topologies and can be managed from the cloud. For any inquires or to request additional information, please complete the following form and a Hi-Link representative will reach out right away to assist you.